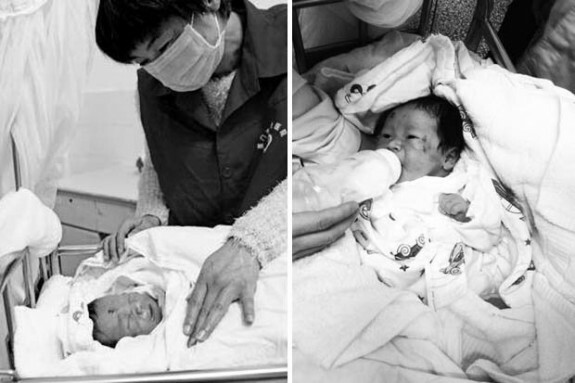 It was a scene of shock in China earlier this week when a baby was reportedly ‘catapulted’ from his mother’s womb during an accident while on the way to the hospital. Mom-to-be Wang Zhau, and husband Mao were on their way to the hospital when the motorcycle they were riding on was hit by a truck. The vehicle crashed into their motorbike before running over the woman’s stomach, and causing fatal injuries to the father. “Eye witnesses said that when the woman was hit by the truck she gave birth on the spot,” police spokesman Chan Chien said. “Others said that the baby, which was healthy 4.2 kg, had been thrown out of the woman’s belly and had landed three meters away. 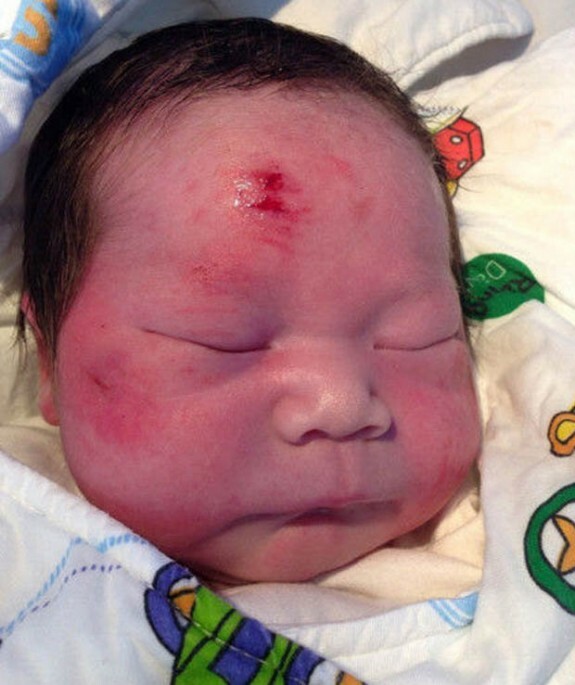 By some grace of god the baby, named as Xiao Zhao, survived the horrific incident and is said to be doing well in the hospital. Even though he lost both his parents during the accident he is expected to survive having only suffered minor bruises. The news of the baby’s arrival has been widely broadcast in Chinas. Residents have reportedly come from far and wide have to bring presents and donations for the newly-orphaned child. The truck driver is being held in custody, while police continue their investigation.